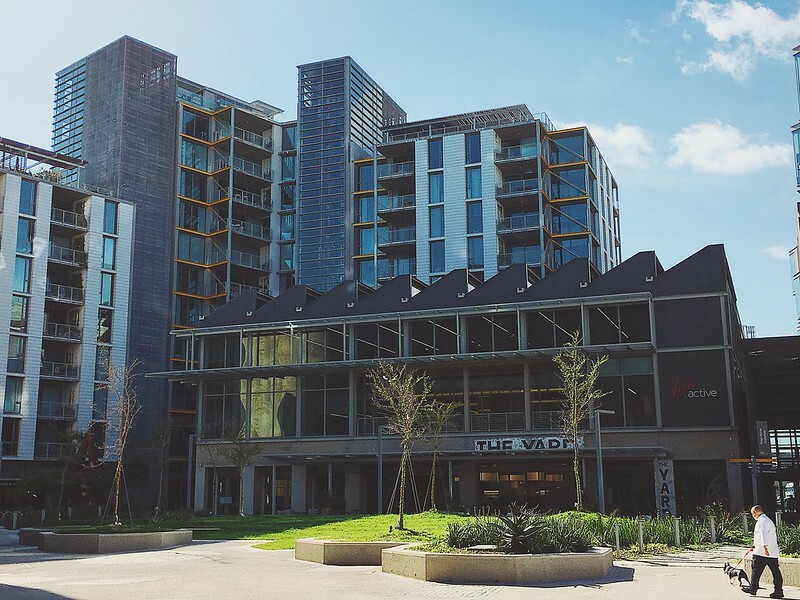 The Silo District is the elegantly edgy new enclave of Cape Town’s famed V&A Waterfront. Cities come alive when creative forms of reimagining take place around their older or more rougher edges, and the Silo District is one of these. What once was a working grain silo, and the tallest building in Africa, now has a new lease of life and a swanky new district surrounding it. With so much to discover in the area, it’s attracting locals and foreigners alike. A first walk through the area with its architectural wizardry will make your jaw drop – guaranteed. And at the heart of it, you’ll find the Radisson RED. 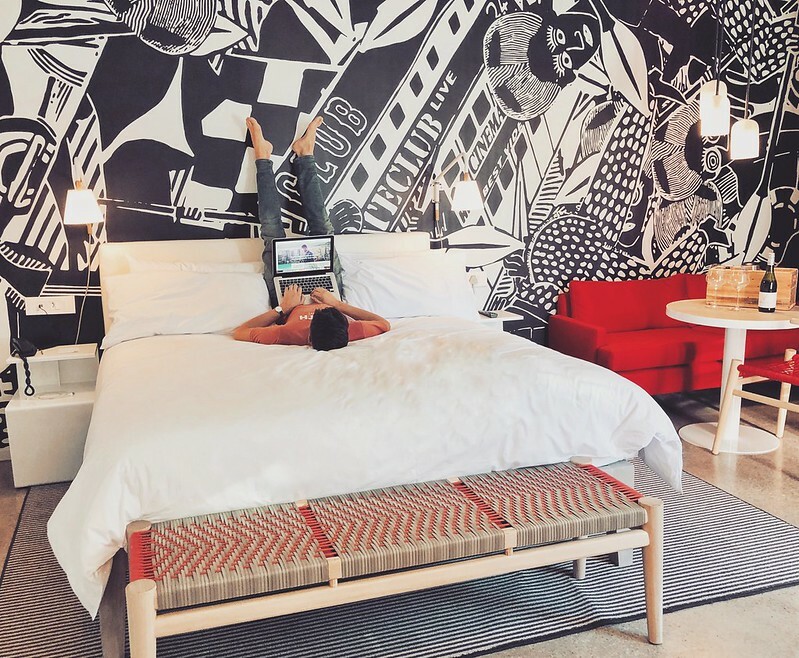 My recent staycation gave me the chance to explore both the hotel and this trendy new district, checking if they lived up to their growing reputation. There are only two places in the world where you can be an active participant in a Lindt workshop or class – and both are in South Africa. Visit Lindt’s gorgeous new chocolate studio at the Silo District and let master chocolatiers teach you to make Lindt chocolate cupcakes and other chocolatey creations (yes, there was a lot of tasting involved). See the various classes here. You’re guaranteed to marvel at not only the exhibitions but also the museum, which itself is a piece of art and houses the largest collection of contemporary African art in the world. The central atrium is the historic ‘silo’ after which the district is named. Award-winning architect Thomas Heatherwick carved out an oval section of the space, exposing the inner concrete tubes and creating a spectacular atrium. Remember that African citizens can enter for free every Wednesday between 10am-1pm. Considered by most to be South Africa’s premier Virgin Active, you won’t be disappointed with this facility, its views and the services offered. 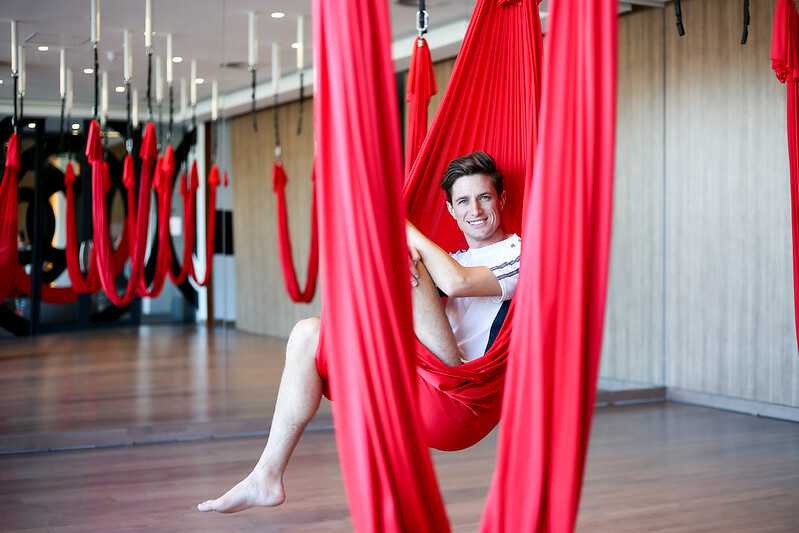 One of my new favourite activities is the suspension yoga: hanging in suspended red cocoons, stretching out your body, with views over Cape Town… now there’s a unique experience. If you’re only visiting for a short period, you can arrange ad-hoc sessions and also enjoy the co-working space overlooking the Silo courtyard. Why not rent a bicycle from Up Cycles’ Silo station? Enjoy a leisurely ride around the V&A Waterfront – or extend your ride to include the promenade that stretches all the way from Mouille Point to Sea Point. When you get back, return the bike and enjoy a coffee from either Si or The Yard, both local favourites. Since RED’s inception, all notions of normal have been ditched and a bold new hospitality philosophy has set the tone. Welcome to one of Cape Town’s most exciting new Waterfront hotels. Fashion, music and art are the three tenants of Radisson RED and pulsate through every aspect of hotel life. I quickly discovered that the true magic lies with the energy and creativity of the staff – they are the glue that holds these three elements together. Their boundless energy and creative endeavours ensure a truly unique experience. All of this comes at no compromise to a luxe hotel experience. 1. The RED team work hard to ensure there’s a constant stream of innovative and immersive events at the hotel – from sports screenings and fashion shows to fantastic food affairs. You should have seen the setup for the soccer World Cup! 2. Rooms are exciting and each one imaginatively designed. As you’d guess, technology plays a vital role. Craving that late-night drink or caffeine fix? Simply use the hotel’s app and order away. 3. Voted Cape Town’s favourite roof-top bar, both views and vibes will keep you coming back here for more. 4. The OUIBar is the in-house restaurant, and I loved the daily specials and inventive food offerings (the menu will have you chuckling). There are a couple other unique elements but hey, if I told you everything there’d be no surprises! 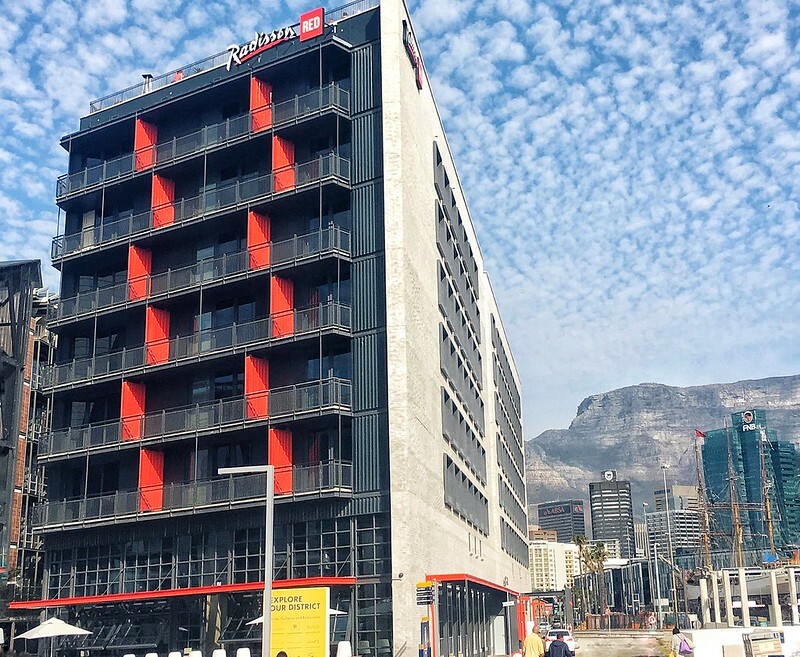 For those visiting Cape Town, don’t miss out on one of the Waterfront’s most trendy spaces and for locals, don’t forget the hotel’s spaces are also open to the public. The Silo District is located just off S Arm Road, Waterfront. Jared is an independent writer, content creator, and tour guide / social experience curator. He has written for Food24, GQ, Traveller24, CapeTownETC, Morethanfood and SA Tourism. His +47k social media following leads him to partner with brands and PR companies highlighting Cape Town, South Africa and some international partners. His social curation leads him to bringing people together, through tours, media launches and MC’ing. He offers bespoke private tours and experiences in Cape Town as a qualified tour guide – hence giving his following both a local and international mix. His focus is on lifestyle-related content, including food, fashion, experiences, and travel in Cape Town and South Africa. Follow him on Twitter (@JaredinCPT), Instagram (@JaredinCPT), or check out his website.